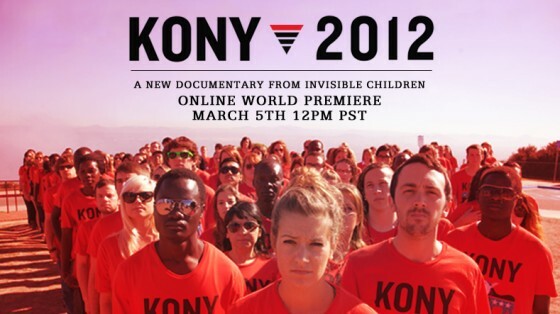 The Kony 2012 phenomenon is still going (and growing), it’s the officially the most viral video ever. So this weeks ‘Five for Friday’ is dedicated to some great articles reflecting on KONY 2012 that you should be reading. 1. SocialFlow have done some brilliant work looking at how online networks helped to share the campaign and then the impact of tweeting by ‘culturemakers’, while Forbes looks at who’s watching the film. Answer – they’re 13 – 17 year old females watching it on their mobile phone. 2. Jason Mogus asks Why your non-profit won’t make a KONY 2012. It’s a very perceptive look at many of the blockages that more traditional NGOs would face if they wanted to repeat the success of KONY. 3. This is a brilliant deconstruction of why the film is so successful using lessons from persuasive techniques used by marketeers. 4. Both Weldon Kennedy and Daniel Solomon look at why the messaging and narrative of the film are so compelling. Lots of really useful lessons here for all communicators. The Mobilisation Lab also asks why the campaign hooks viewers in. 5. Ross Bailey shares his reflections and reminds us that Invisible Children didn’t get here overnight. Thank you for linking to my post! And thanks for sharing some other great articles too. This has been a fascinating topic this week!